We created Run Republic Running Camp with the goal of merging the typical college-campus based summer running camp with the modern, mobile and exciting teen tour. At the core of Run Republic is running. But beyond that, we offer our participants mentorship, training, travel, adventure, friendship, education, fun and excitement. Our goal is to create memories, experiences and bonds during our trips...that go beyond running and truly will last a lifetime! We look forward to seeing you on our next trip! ★ Ideal for the runner who loves travel, adventure and fun! ★ Fosters lifelong bonds and friendships among participants. ★ Great for individual high school runners and teams! ★ Safety is always the number one priority. ★ Includes tons of adventure, games and fun! ★ Chaperoned by runners, coaches and professionals. ★ Introduces new locations and experiences everyday. ★ Trips offered throughout the year with unique destinations. ★ Photography throughout trip so parents can keep tabs! ★ Room, board and travel is top of the line! Q. Who is eligible to attend? A. Any student-athlete who will be entering 9th, 10th, 11th or 12th grades during the 2016-2017 school year. Q. How much running is there during the trip? A. Attendees will run almost every day; rest days on long travel days. Specific training will be based on athlete's specifically designed training plan. Q. What other activities do you do besides running? A. Tons! We base our activities and plans on the time of year and specific destination of the trip. 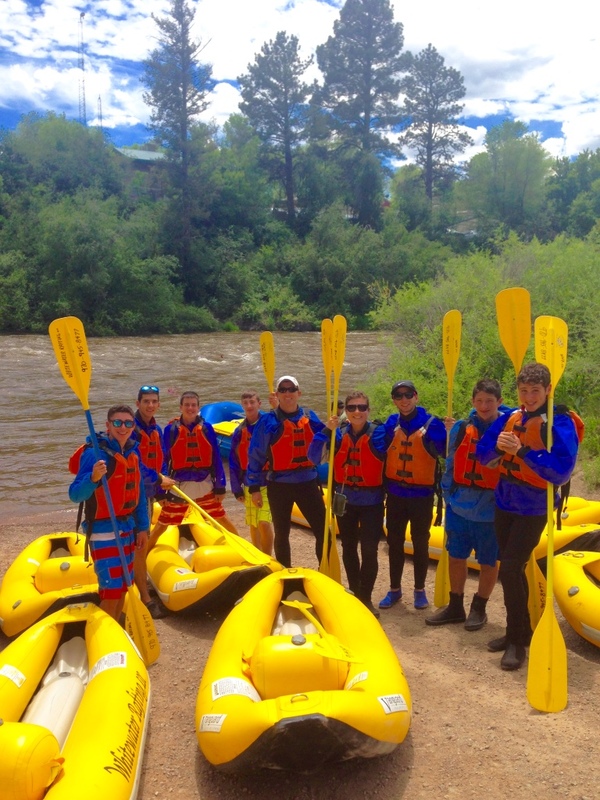 For example, the Summer 2016 Run Republic group traveled to Colorado and Utah where we hiked, kayaked, snowshoed, played disc golf, toured cities, visited multiple National Parks, whitewater rafted and much more! Q. Can parents, other coaches, etc. attend? A. Unfortunately no parents or coaches are permitted to attend. The purpose of the camp is for athletes to bond with each other as well as coaches and enjoy the experience. The Run Republic management team will add counselors and additional chaperones as needed. Q. Who are the adults on the trip? A. Each trip is managed, coordinated and chaperoned by Run Republic co-founders Doug Horn and Melissa Perlman. Both are former NCAA Division I runners; both currently run; both coach at Spanish River High School in Boca Raton, Florida; and both are professionals and well known in the South Florida community. Additional coaches and chaperones are added to trips based on the number of attendees. Our typical adult : athlete ratio is 1 : 5. Q. When are the trips? A. We offer multiple Run Republic trips throughout the year. For specific dates and destinations, please visit the TRIPS tab, which is up to date. Q. What is the deadline for RSVPing; how much is the trip? A. Deadlines, costs and tentative itineraries are included on the TRIP tab as well. Q. I have a conflict for part of the trip; can I still attend? A. If the dates of a specific trip interfere with summer camp, a pre-arranged trip, etc. please contact us directly as we are sometimes able to offer alternative transportation options for those individuals that need to leave early or arrive late. This will be determined on a case-by-case basis. Q. I'm interested, how do I sign up? A. Please send an email to Info@RunRepublicCamp.com with your name, contact information and the specific trip you are interested in. We will contact you shortly after with details! "My son had a 10 out of 10 trip! He loved every bit of it and has told us numerous fun filled stories! From Breckenridge to Zion National Park to Arches National Park to Olympic Park, the trip was a perfect combination of running and adventure! The training strategies that he learned have been very useful to him for his cross country season. Every aspect of his trip was carefully executed and well thought out. The communication from the coaches during the camp was exceptional - with text updates as well as fabulous pictures! Thank you for a wonderful trip and an incredible experience! My younger son cannot wait to go next year!" "Going on this trip helped to solidify existing friendships and gave me the opportunity to bond with other teammates. I couldn't think of a better team bonding experience!" "Run Republic Running Camp provided our team with memories that I will never forget. The beautiful scenery and weather made up for the tough runs...and the awesome activities made everyday an adventure. I never wanted it to end!!" "I have been fortunate enough to embark on my journey with Run Republic Running Camp and witness parts of our country people travel the world to see, all in a humble and scenic atmosphere. Beyond our adventures, my coaches Doug and Melissa provided a fun environment to be around. At one point I laughed so hard during breakfast I started crying. Come to think of it, that may have been my favorite part of the trip. I’ve grown a newfound appreciation for both of my coaches. We all got to know each other so well. Candidly sharing our stories and our struggles strengthened our bond and has motivated me for the remainder of my running career." "This trip was the incredible, how often can anyone see this much American talent all under one roof? The trials also came with fun night activities and surprise trips that always had me excited about where we were going next. Everywhere we went, we had so much fun and the coaches cared for us like we were one of their own."